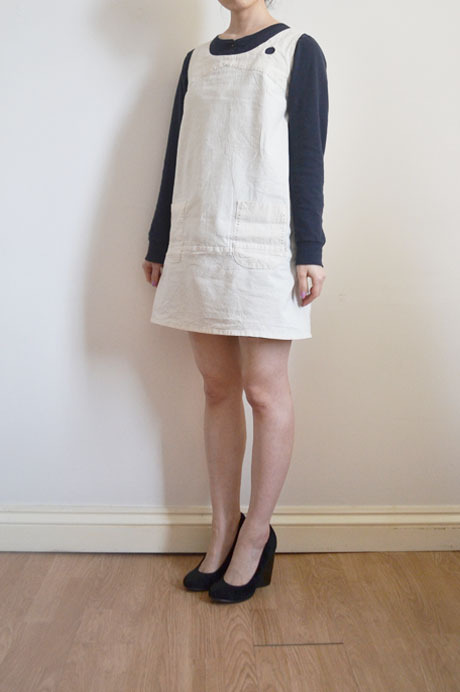 Here is a commissioned dress I’ve just finished making. 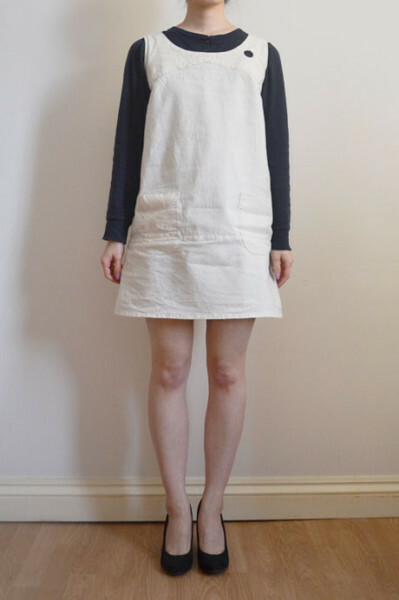 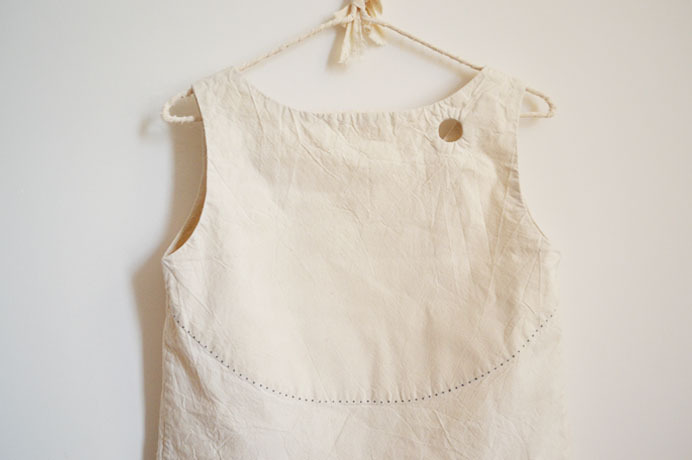 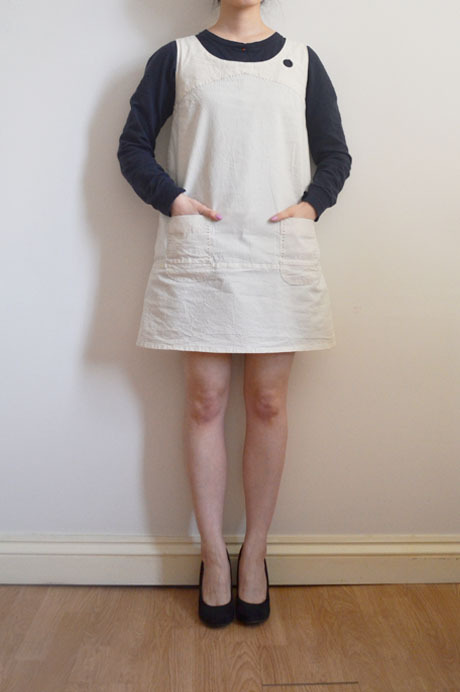 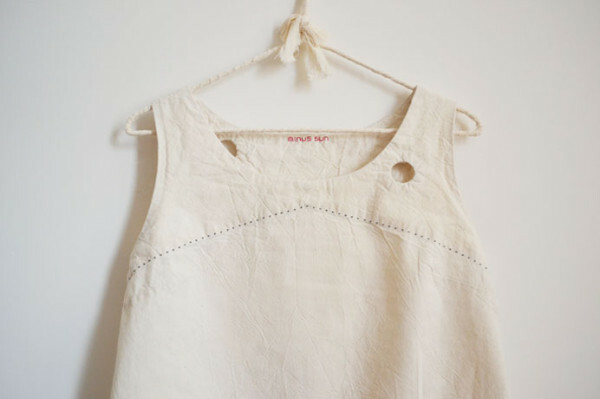 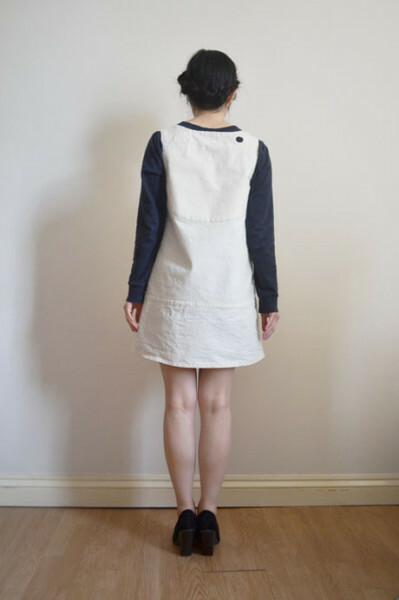 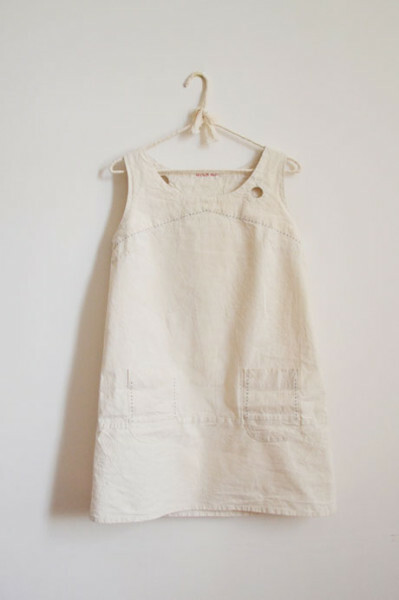 It is a simple pinafore dress with hand drawn dotted lines in black along the facing seam and the two front pockets. 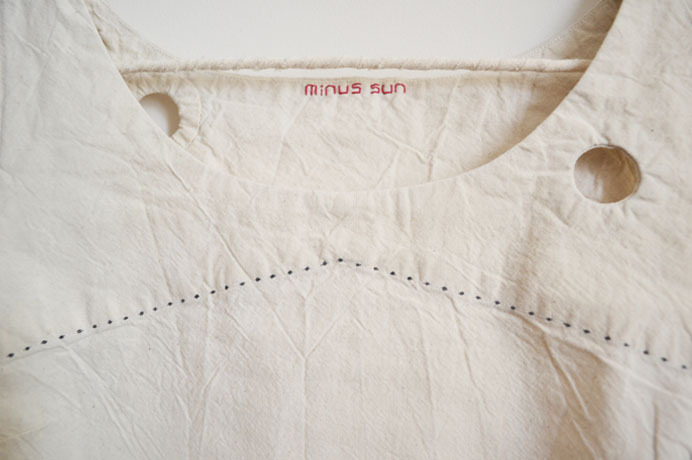 There are two holes along the neckline, one on the front and the other on the back. 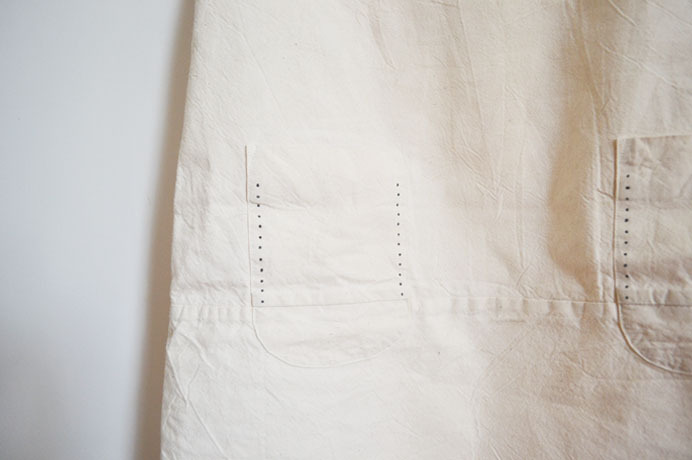 There is a horizontal seam in the skirt section dividing the dress as well as the pockets. I had the idea of using two different fabrics when I made this detail and I will probably make one soon. 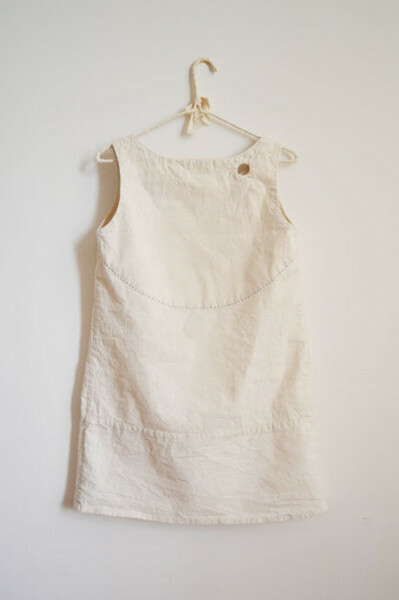 Does this dress look familiar? It is almost the same as the Cultured Girl’s dress of “It rained into her room.” collection but without the red lines on the pockets and with the hole details around the neck of the Cultured Girl’s dress of “minus the sun, night all day” collection.